This entry was posted on May 13, 2016 by Texas Safety Supply. Texas Safety Supply handles Industrial Safety Supply in the DFW Metroplex. We are also as a same day National Supplier of Safety Supplies. We ship to the entire United States with most orders delivering in one to two days. Safety Supplies are required for any work place to keep personnel free from Injury and so that employees are able to go home daily to family and loved ones without Injury. Texas Safety Supply understands the need for quick, reliable handling of Industrial Safety Supply orders. That is why we have huge inventories and push to always deliver or ship orders via UPS the same day as they are ordered. Purchasing Agents and Safety managers need reliability when ordering Industrial Safety Supplies and you can count on Texas Safety Supply to be the "go to" on Industrial Safety Supply. two hundred dollars and we encourage you to take advantage of this discount. We also offer wholesale safety supplies on volume orders when we are able to reduce prices to even lower prices. Please contact Texas Safety Supply directly if you have a need for Industrial Safety Supplies, or any Wholesale Safety Supply type of orders. 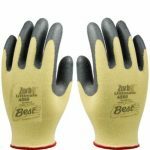 Please call us, we would love to give you a Quote on Wholesale Gloves, all types of wholesale work gloves, Wholesale safety glasses and all of your Industrial Safety Supply needs. We offer a Full line of Construction safety supplies; work gloves, Safety Vests and traffic safety. Texas Safety Supply, your top best source for Industrial safety Supply, handles MSA, DBI Sala and man Safety Supply manufactures sure to meet the needs of your requirements.